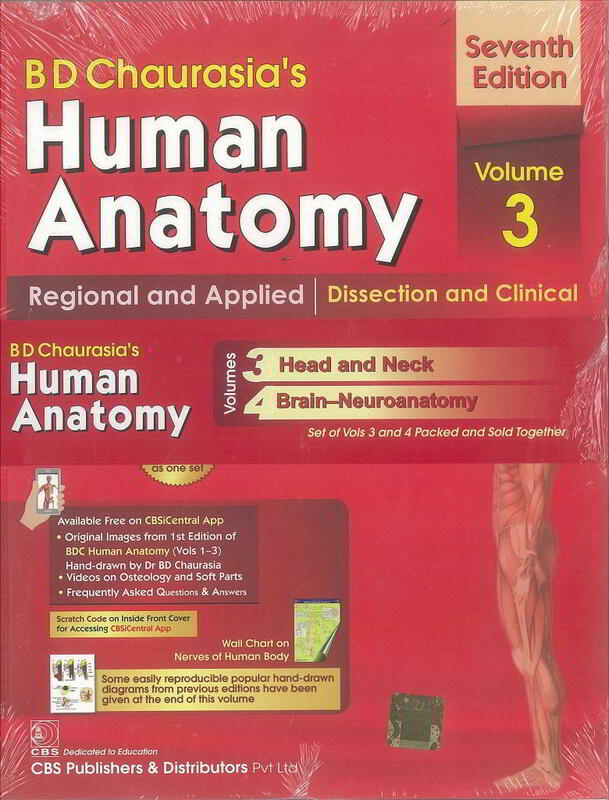 Widely acclaimed as a standard text in view of its simple language, comprehensive coverage and attractive presentation, BD Chaurasia’s Human Anatomy remains an ideal and the most preferred textbook in India and abroad. The seventh edition of the book has been rewritten, thoroughly revised and updated, to make it still more student-friendly. 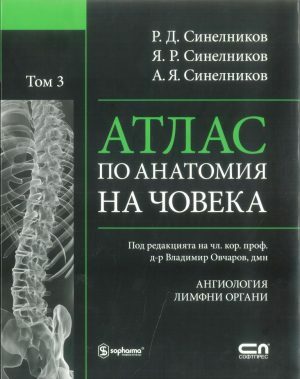 The seventh edition now features : Newly drawn diagrams, redesigned on the basis of reader–teacher perceptions, in vivid colours, imposing dimensions, with clarity of depiction, using fresh labeling, Enhanced and well illustrated clinical anatomy given along with each concerned topic to increase the book’s utility to the student during the clinical years, Volume 3 presents reinforced material on Head and Neck, Volume 4 now highlights Brain and Neuroanatomy. 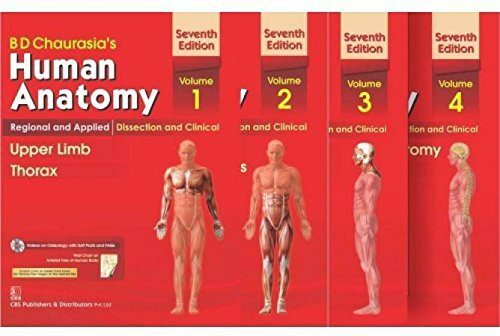 A CD containing respective videos on osteology and soft parts for better orientation of these topics and FAQs with answers and diagrams for proper preparation for the examinations, accompanies each volume. Many new chapters added to lend flavour to learning anatomy with enhanced interest. 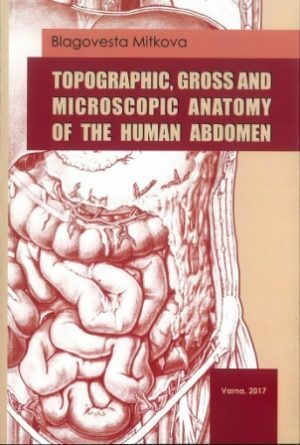 Salient features of the four volumes: Profusely illustrated to enhance the clinical importance of osteology, Steps of dissection clearly delineated to enhance practical aspects; fresh figures on dissection have been redrawn to impart both theoretical as well as practical knowledge to the students, The attachments, nerve supply and actions of the muscles are shown in boxes. 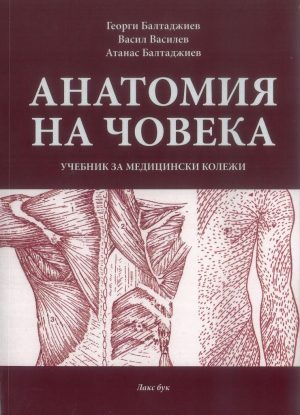 Testing of a group of muscles is shown with the help of diagrams, The text is supplemented with a number of easily reproducible colour diagrams providing a photogenic memory to the reader, To complete the various facets of anatomy, histology and development of various organs have been added. 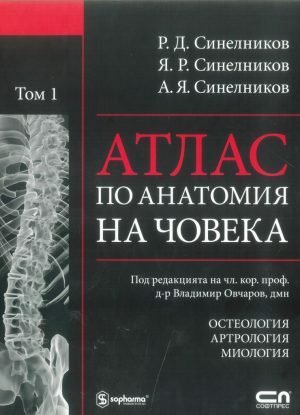 Fresh radiographs, ultrasound scans and CT scans have been added to initiate the readers into the realm of radiology and imaging, At the end of each section, appendix containing full courses of the spinal nerves, cranial nerves, autonomic ganglia, clinical terms and tables on arteries have been given, Clinicoanatomical problems have been given to prepare the readers for their future clinical years, Multiple choice questions (MCQs) have been reinforced to test the knowledge and skills acquired.